North Italia in Brickell is now open! Led by General Manager Juan Carlos Marchan and Executive Chef Ryan Smith, the restaurant offers weekend brunch, lunch, dinner, and happy hour with menu items showcasing fresh ingredients, including antipasti, salads, handmade pastas, artisanal pizzas and entrées inspired by the garden, farm and sea. With an open, airy atmosphere, this location is nearly 8,600 square feet, featuring an exhibition kitchen that overlooks the dining room and bar area seating up to 316 guests between the indoor and patio spaces. Upholding North Italia’s commitment to handmade, seasonal cuisine, signature items will offer an array of flavors inspired by modern Italian cuisine, including everything from specially crafted pizzas and pastas such as the prosciutto pizza with mission fig, goat cheese and arugula to crave-worthy Italian desserts like the hazelnut torta and classic gelato. For brunch, guests can snack on Italian meatballs and black Mediterranean mussels while deciding between mouth-watering entrées like the nonna casserole or the short rib hash. With a list of artisanal cocktails expertly crafted by the in-house team, North Italia offers sophisticated concoctions made with fresh ingredients, including the flavorful Milano Mule that combines Dripping Springs Vodka, Aperol, lime and ginger beer. Brunch-goers can complement their dishes with refreshing sips of classic drinks like mimosas and bellinis or opt for the handcrafted Red Rooster made with Smirnoff Vodka, spiced tomato, Averna amaro, lime and caprese garnish. A perfect addition to the after-work scene, North Italia will also be offering happy hour Monday through Thursday from 3 – 6 p.m. Specials like the Bottle & Board offer a choice of pizza, bruschetta or chef’s board with a bottle of wine for $25, perfect for a post-work Aperitivo. A tempting selection of specially priced wines, beers and sangria are also available by the glass or a celebration-worthy pitcher. Isabelle’s Grill Room & Garden, the much-anticipated companion to The Commodore, the newly-opened cocktail lounge at The Ritz-Carlton Coconut Grove, Miami is now open. The chic new restaurant, sure to be a welcome addition to the South Florida and Coconut Grove dining scene, features the inspired, elevated cuisine of Corporate Chef Paolo Dorigato, Executive Chef Abel Veulens, Sous Chef Miguel Fajardo and Sous Chef Kannon Swaris. 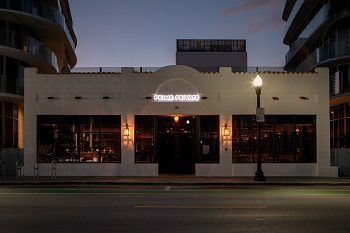 Operated by LDV Hospitality (the team behind Miami Beach’s acclaimed Dolce restaurant and award-winning Regent Cocktail Club), Isabelle’s Grill Room & Garden is named in honor of Isabella Peacock, one of the Grove’s earliest settlers. In fact, Isabella and her husband Charles founded Coconut Grove’s first hotel, the Bay View Inn back in 1882. Dinner, served daily, offers an assortment of land and sea options. With such proximity to water, great Raw Bar options are a must. Classics abound: Oysters, Jumbo Shrimp, Lobster Cocktail, Jumbo Lump Crab Meat, Market Ceviche, Tuna Poke and the ubiquitous Seafood Tower. Starters, meant to be shared, include items such as the Beef Carpaccio with crispy mushrooms, arugula, pecorino and fresh horseradish; Jumbo Crab Cake with celeriac, apple remoulade and upland cress; and Spanish Octopus with baby artichokes, fingerling potatoes, olives and spicy romesco. Main Courses range from Lobster Pappardelle with house made pasta, garlic, spinach, cherry tomatoes and extra virgin olive oil and Kurobuta Pork Chop with herbed crushed potatoes, roasted peppers and broccolini to Seared Striped Bass with leeks, couscous, baby carrots and beurre blanc and Grilled Jumbo Prawns with saffron risotto cake, jicama slaw and mango chutney. Burger lovers, prepare for Isabelle’s Cheeseburger with smoked tomato aioli, brandied onions, Nueske’s bacon, cheddar, lettuce and tomato. Breakfast and lunch are also served daily with a Sunday brunch in the works. 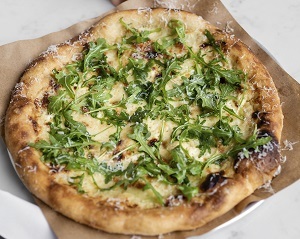 There’s a new lunch spot in South Miami—Root & Bone has launched a new menu of mid-day options. Menu items include HANDHELDS (with a choice of fries or slaw): GRILLED CHICKEN SANDWICH – avocado, thick sliced tomato, baby arugula, lemon & herb dressing or the ROOT & BONE CHEESE BURGER – specialty blend of chuck, brisket & short rib, cheddar cheese, house made pickles on a toasted potato roll. 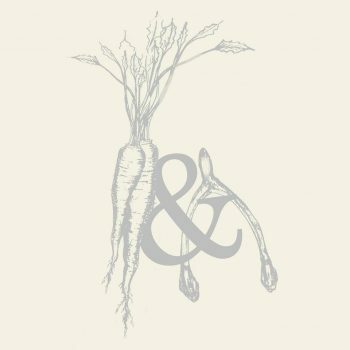 For something on the lighter side, opt for something from SALADS & BOWLS (with the option to add protein) like the SHRIMP, QUINOA & AVOCADO BOWL with local royal red shrimp, watermelon chili-lime splash, pickled vegetables, radish, corn & crispy hominy or the ROOT & GRAIN BOWL with heirloom carrots & beets, capers, horseradish, black garlic & chives, crispy roots & local farm greens. Lunch is available Monday-Friday from 11 a.m. to 5 p.m.
On Wednesday, February 6th, The OG Supper Club will bring together Miami?s most fab multi-generational group of tastemakers for a unique dining experience to celebrate the Chinese New Year at 1-800-Lucky. 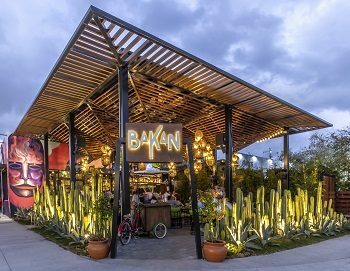 To commemorate The Year of The Pig in style, guests will indulge on mouthwatering selection of Asian dishes while mingling in the pen with Miami’s OGs, influencers and entrepreneurs. Upon arrival, each guest will receive a badge to present to each vendor and receive a signature dish while sipping on specialty SOTO Sake and and Toki Whiskey cocktails. Guests won’t be able to resist snapping pigtures of every Insta worthy moment at our signature photo booth or show off their skills on the mic in an epic, over-the-top karaoke contest with special prize giveaways. For a sweet finish, Night Owl Cookies will be doing a late night pop-up at the event distributing some of their specialty flavors for attendees. No need to break the Piggy bank – tickets are priced at $55/pp (tax included) and can be purchased at www.smarturl.it/ogsupperclub. Thanks to LYFT, it’s never been easier to get to the OG Supper Club?s x 1-800-Lucky Chinese New Year Celebration. As the official ride share partner of The OG Supper Club, new users can download the Lyft app and insert MIALYFT for $5 off their next 4 rides. 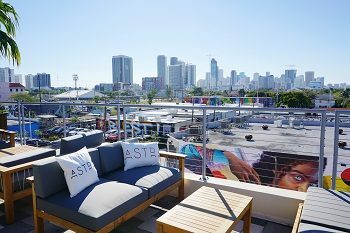 Wynwood’s newest rooftop, Astra, opened earlier this month and has become a hotspot for live DJs, dancing, and Mediterranean-inspired cocktails & cuisine. This Saturday, February 2 the rooftop destination will launch brunch. Offered every Saturday and Sunday from 11:00 a.m. – 4:00 p.m., Astra’s brunch menu will feature brunch staples with a Mediterranean twist such as Baklava Pancakes, Shakshuka, Wild Caught Salmon Tartar, and the Sheftalia Breakfast Plate – two eggs any style, lamb kebab, tomato and pita. Because brunch wouldn’t be complete without drinks, guests can enjoy Astra’s Bubbles Tray which features a variety of Champagnes and sparkling wines, served with fresh berries, orange juice, peach nectar juice and apple cider, making for the ultimate Instagrammable experience. Astra will also offer sangria and mojito pitchers, and the Astra Bloody Mary, made with Absolut Elyx, Vida Mezcal, Housemade Bloody Mary Mix, Bacon and Guajillo Chile. Also this Sunday, Astra will feature a big screen on the rooftop for guests to watch the big game. Myles Chefetz, Myles Restaurant Group founder, has introduced Prime Private, a 6,000 square-foot private dining room and restaurant available for intimate or large celebrations at 36 Ocean Drive in Miami Beach. 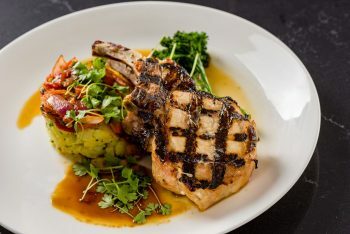 As an extension of Prime 112, Prime Fish, Prime Italian and Prime Hotel, Prime Private will feature the greatest hits from each of his restaurants in the South of Fifth neighborhood. Created by Charles Benson & Associates Architects and designed by celebrated design firm Briggs Edward Solomon, Prime Private reflects the luxurious and elegant atmosphere of Prime 112. The space projects a warm, inviting ambiance with oversized chandeliers, floor-to-ceiling glass windows and whimsical private-space curtains. Upon entering, guests are greeted by an extensive bar to the left with 20 bar seats. The 200-seat space is flexible to accommodate both small and large groups. Located throughout the restaurant, Prime Private is equipped with state-of-the art audio visual built-in screens and LCD projectors, perfect for accommodating private parties. Corporate Executive Chef Marcelo Palacios leads the exceptional Myles Restaurant Group culinary team with his passion for simplicity in contemporary cuisine. Pastry Chef Robert Gonzalez is the mastermind behind the desserts. Chef Marcelo, Chef Robert and Chef John Emanuel manage the kitchens of Prime 112, Prime Fish and Prime Italian and will helm the kitchen at Prime Private. The menu will feature Prime 112’s extensive offerings including Raw Bar, Appetizers, Salads, Soups, Prime Steaks, Chef’s Compositions (signature dishes), and Accessories (signature sides). At the bar, guests can find a range of classic and innovative libations expertly crafted by skilled mixologists. For private parties, custom packages will start at $95 per person with options to customize a curated menu to fit a party’s needs. Guests can also choose to order items a la carte. Prime Private will cater to parties consisting of 50 guests with a capacity of 200 people. Reservations and private bookings are available by calling 305.532.7707. 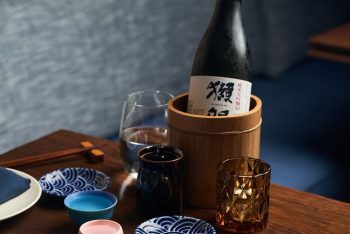 Mondays just got better with the launch of Azabu Miami Beach’s ‘Sake Mondays.’ Guests can enjoy bottles of sake at half price all night long starting at 6 p.m. Next door, Lolo’s Surf Cantina is launching their weekly Ladies Night. Every Thursday, all ladies can enjoy $3 margaritas from 7 p.m. – close. 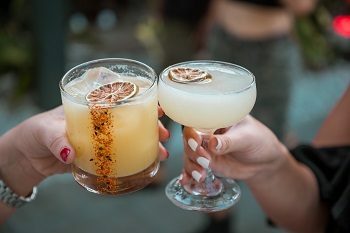 Over the bridge, Elcielo Miami in Brickell kicks off Thursdays with ‘Ladies Night’ from 7 p.m. to 10 p.m. Ladies can enjoy $1 Bellinis and special happy hour prices on cocktails and bites. Indulge in the Tree of Life, Salmon Tartar, and Elcielo Croquettes. 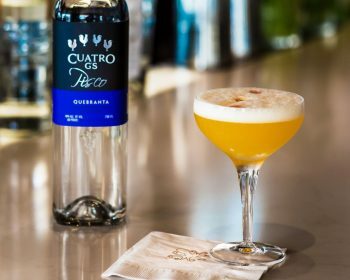 On Saturday, February 2, locals and visitors alike can join Pisco y Nazca in celebrating National Pisco Sour Day with half off all pisco sours all day! Guests can choose from either the Pisco Sour or Passion Sour — cheers! Bakan is celebrating Día de la Candelaria (or Candlemas in English) this Saturday, February 2nd! Guests can enjoy tamales de mole and tamales verdes for $16 to celebrate the traditional Mexican holiday… or if you just want to eat tamales. This weekend, say goodbye to winter wear and hello to 70+ degree weather. Enjoy the return of the warmer climate and clear skies at Atton Brickell Miami for Sunset Sessions on Saturday, February 2nd, from 2-7 p.m. Head up to the Vista Rooftop Bar for live music, signature bites, and 50% off drinks. Vibe poolside as you watch the sun set against a beautiful Brickell skyline. Grab a few friends; this event is open to the public.